Sen. Cory Booker Seeks Increased Transparency In Medicaid's Drug Decisions : Shots - Health News Booker is introducing a bill this week in response to an investigation by the Center for Public Integrity and NPR. He calls drug firms' infiltration into Medicaid's decision process "nefarious." The "Medicaid Drug Decisions Transparency Act" would require pharmaceutical companies to disclose their payments to pharmacists and others who serve on state Medicaid drug boards — the advisory groups that decide which drugs Medicaid will and won't cover. Sen. Cory Booker, D-N.J., says he will introduce federal legislation this week that would require more transparency surrounding states' Medicaid drug decisions. The bill comes in response to a recent investigation by the Center for Public Integrity and NPR. The measure, known as the "Medicaid Drug Decisions Transparency Act," would require pharmaceutical companies to disclose their payments to pharmacists and others who serve on state Medicaid drug boards. These boards help decide which drugs Medicaid patients will be able to access easily. 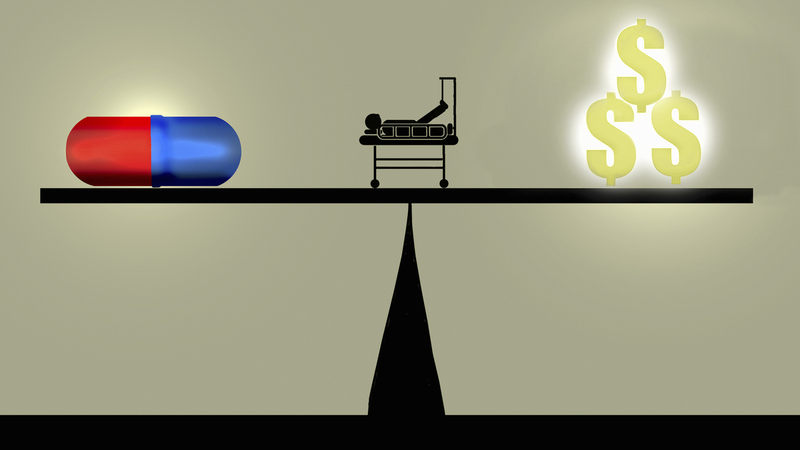 Currently drugmakers must only disclose perks given to doctors, such as free dinners, speaking fees and consulting gigs. In addition, the bill would increase penalties for companies that fail to comply with reporting requirements. "These are really nefarious tactics that drug companies use, and they use them to influence state Medicaid programs' drug coverage decisions," says Booker. "My bill's going to address this problem by increasing transparency — shining a light onto these payments." The proposed federal legislation was prompted by the recent Medicaid, Under the Influence investigation from the Center for Public Integrity and NPR, which revealed how drugmakers influence states' choices regarding drugs for Medicaid patients. The investigation, published in July, found that drug companies swarm state Medicaid board meetings when their drugs are under consideration, and have given payments and perks to three out of five doctors recently serving on those boards. The companies' efforts to undermine state drug cost controls have helped push up Medicaid expenses nationwide. The Senate bill would also require states to publish and update the lists of members on their Medicaid drug boards. The Center for Public Integrity had to scour meeting minutes, call agencies and formally request public records to compile a list of board members across the U.S. Even so, reporters still could not obtain information on two committees in Illinois and South Carolina. Booker's bill would require the U.S. Secretary of Health and Human Services to provide states with summaries of drug company payments made to members of their Medicaid drug committees. With only weeks remaining in the current session of Congress, the bill is unlikely to pass. But Booker says he hopes it will help set the upcoming agenda for Democrats; he intends to reintroduce it in 2019. The Center/NPR investigation previously prompted Arizona Gov. Doug Ducey, a Republican, to issue an executive order tightening his state's ethics rules and to boot a doctor from the Medicaid committee who had received more than $700,000 in payments and perks from drugmakers. Officials in Colorado, New York and Texas also took action in response to the Medicaid investigation.